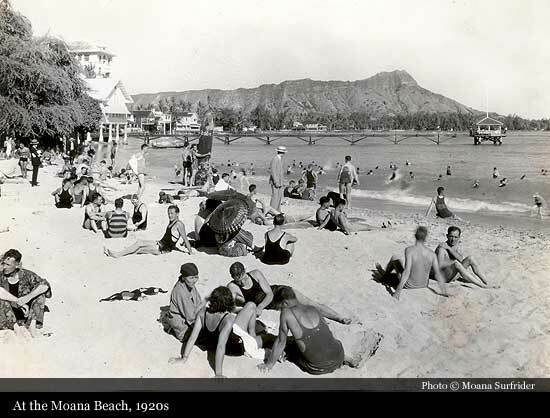 Waikiki was once a quiet backwater area dotted with the summer residences of Hawaiian royalty and wealthy residents. By the late 1890s, with additional steamship lines to Honolulu, the arrival of visitors to Oahu was increasing. In 1896, Walter Chamberlain Peacock, a wealthy Waikiki home owner at the time, proposed to build Waikiki’s first resort to provide a solution to the area’s main drawback—the lack of suitable accommodations on the beach. His corporation, The Moana Hotel Company, Ltd., commissioned architect Oliver G. Traphagen to draw up a plan for the hotel. 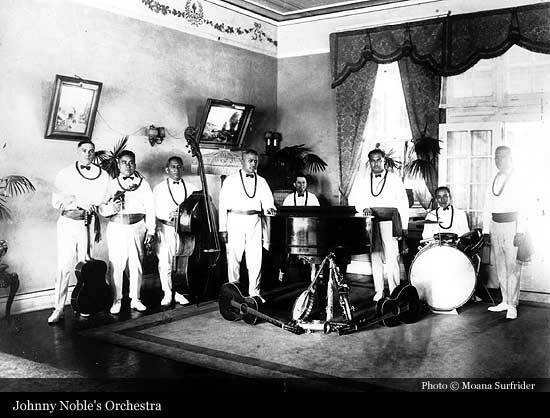 The Lucas Brothers, who also built the Iolani Palace, were the prime contractors. 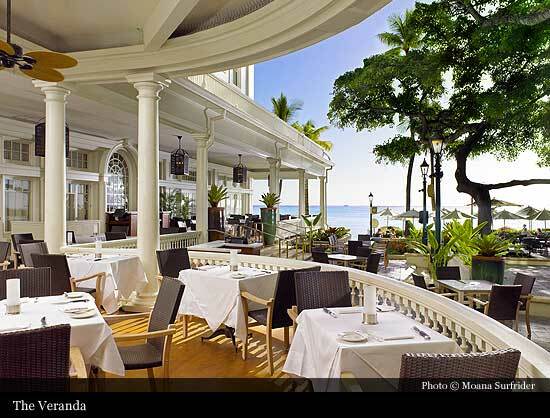 The Moana Hotel officially opened on March 11, 1901, ushering in the birth of tourism for the islands. 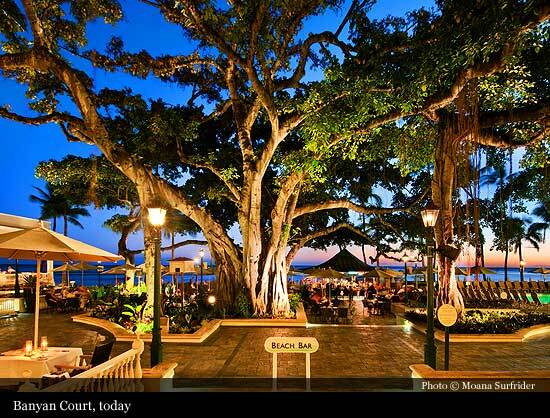 Designed in the old colonial style architecture of the period, it boasted 75 rooms and was the costliest, most elaborate and modern hotel building in the Hawaiian Islands at the time. Each room on the three upper floors had a bathroom and a telephone – innovations for any hotel of the times. The hotel also had its own ice plant and electric generators. The first floor had a billiard parlor, saloon, main parlor, library, office, and reception area. The Moana, which from Hawaiian is translated to “broad expanse of ocean,” lived up to its name with the crowning achievement of a rooftop observatory 120 feet off the ground, lit by more than 300 lamps. 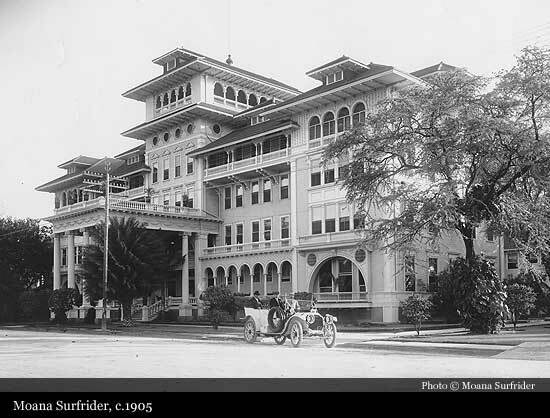 The hotel’s first guests in 1901 were a group of 114 Shriners hosted by the local Aloha Temple Shriners. They paid a costly $1.50 per night for their rooms. 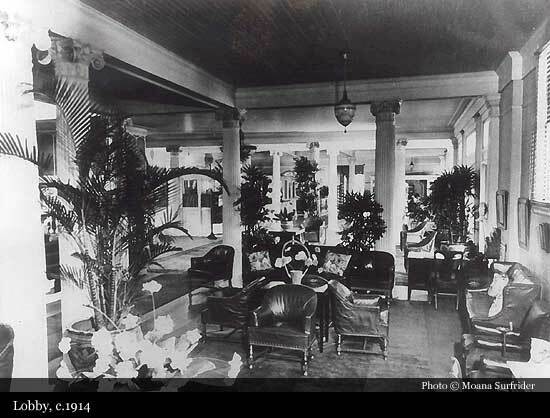 In 1905, Peacock sold the hotel to Alexander Young, a prominent Honolulu businessman with other island hotel interests. After Young’s death in 1910, his estate continued to operate the hotel until Matson Navigation Company bought it in 1932 for $1.6 million. By 1918, Hawaii had 8,000 visitors annually and by the 1920s, Matson Navigation Company ships were bringing an increasing number of wealthy visitors. This prompted a massive addition to the hotel. In 1918, two floors were added along with concrete wings on each side designated in the Italian Renaissance style doubling the size of the hotel. 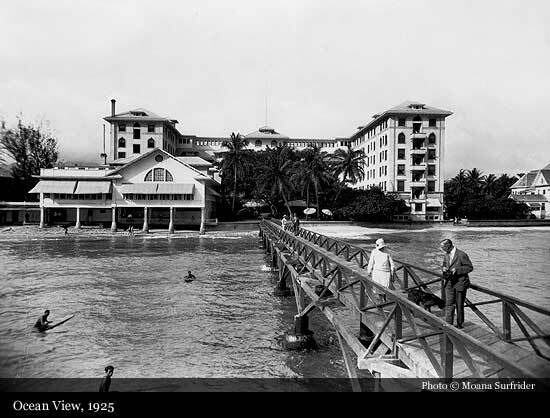 In 1927, Matson Navigation Company opened The Royal Hawaiian hotel. With the attack on Pearl Harbor by Japanese forces on the morning of December 7, 1941, all of Hawaii was on war footing and martial law was declared. Barbed wire stretched across the beaches and blackout restrictions were enforced. Matson’s biggest hotel, The Royal Hawaiian, was leased to the U.S. Navy as a rest and relaxation center, mainly for submarine personnel. The Moana, however, remained open as a guest hotel, but was frequently filled with servicemen and defense-related personnel. The hotel weathered the war years without too many changes. Some normalcy returned after martial law was lifted and when the war ended upon Japan’s surrender. 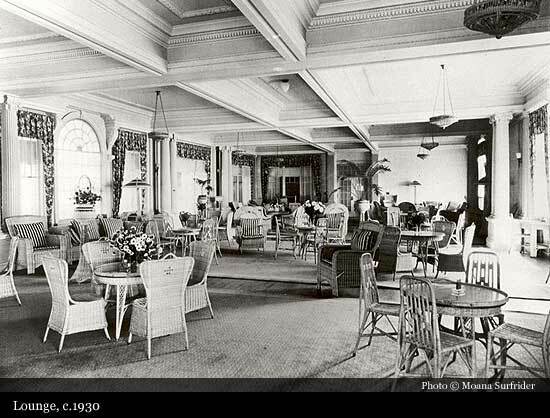 With the advent of regularly scheduled airline services from the west coast and tourism booming in the late 1940s and 1950s, the Moana transformed into the mecca of Honolulu society. The Surfrider Hotel was built in 1952 and the Surfrider Tower in 1969. 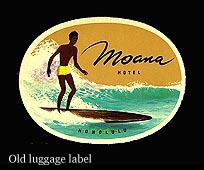 Matson continued to service its hotels with passenger service until it sold all its hotel properties in Waikiki to the Sheraton Hotel chain in 1959. 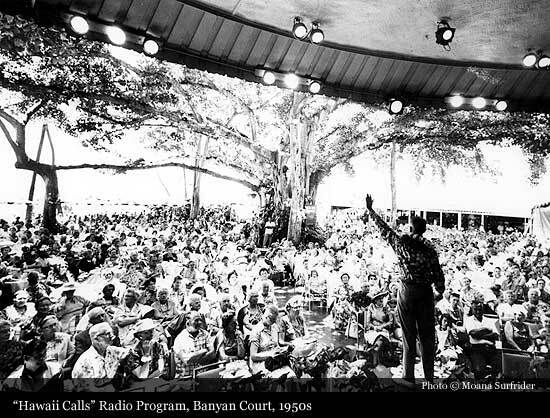 That same year, Hawai‘i became the 50th state and witnessed the first year of jet service to the islands. In turn, Sheraton, in 1963, sold the Moana and The Royal Hawaiian to Japanese industrialist, Kenji Osano and his Kyo-Ya Company, Ltd., but continued to manage the properties under a long-term contract until Starwood Hotels & Resorts acquired ITT Sheraton Corporation in 1998. Under new owners Kyo-ya Company, Limited, a renovation in the 1980’s was overseen by joint architects Virginia D. Murison and Chapman Desai Sakata. The restoration of the “First Lady” included upgrading and integration of the Ocean Lanai and the Surfrider tower into the overall architecture format, which re-opened in March 1989. 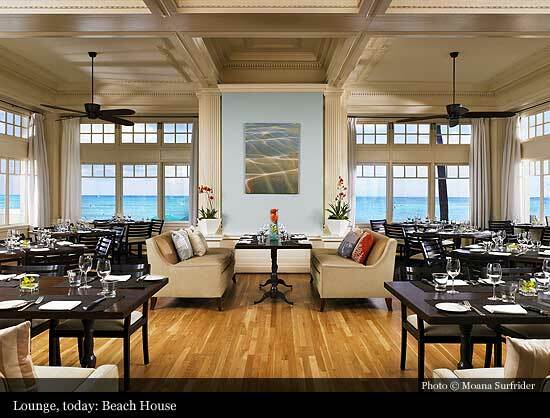 The historic restoration was recognized for numerous, worldwide awards such as the President’s Award for Historic Preservation, accepted by Murison at the Whitehouse on behalf of the Moana Surfrider in 1992. 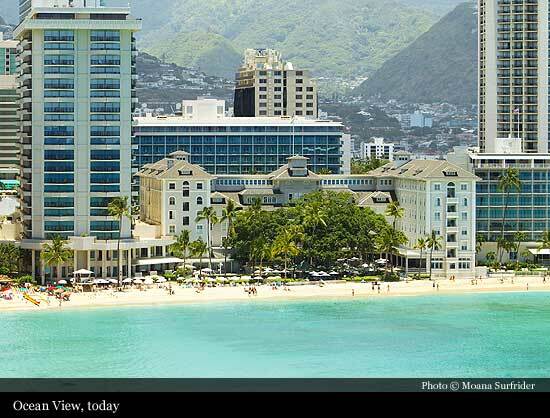 In June 2007, Starwood re-flagged the Moana from a Sheraton property to a Westin resort. 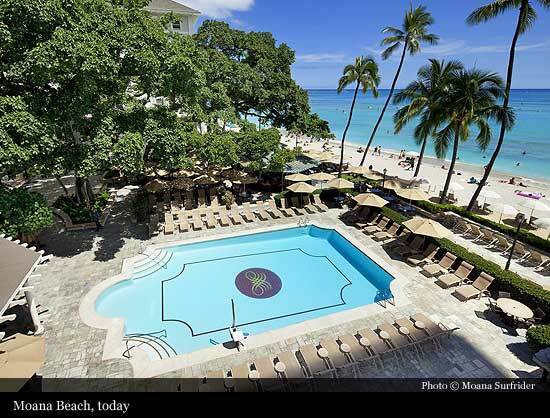 While maintaining its elegant ambiance and Hawaiian sense of place, the historic hotel has been renewed with modern amenities including the Westin’s signature Heavenly Bed and Heavenly Bath, as well as new flat screen televisions. The Moana’s distinctive porte cochere entrance draws visitors to wander into a revitalized lobby featuring hardwood floors, new furniture and lighting fixtures. In October 2008, the Moana welcomed the opening of the luxurious 17,000 square foot Moana Lani, becoming the first beachfront spa on Oahu and first Heavenly Spa by Westin on the island. Boasting views of the sand and surf of Waikiki, this relaxing retreat includes two couple’s treatment suites with beachfront lanais and whirlpool tubs, nine private massage therapy rooms, a body treatment room, a Vichy shower water therapy room, and three facial rooms. Moana Lani also features a manicure and pedicure area, an exclusive product retail area on both the spa level and hotel lobby level, and a new 24-hour state-of-the-art WestinWORKOUT® fitness center that is free of charge to hotel guests. As of the opening of Moana Lani in October, the hotel officially operates under its new name, Moana Surfrider, A Westin Resort & Spa. 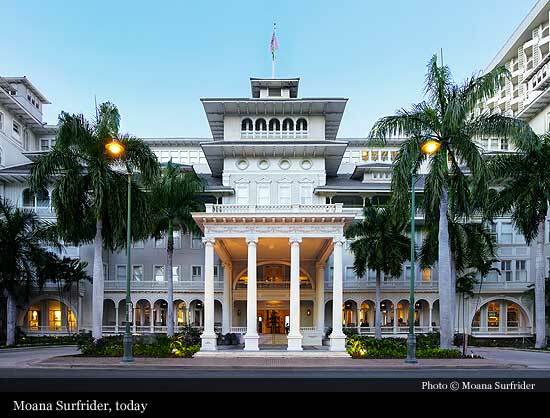 Today, the Moana Surfrider, A Westin Resort & Spa takes its place among America’s leading hotels listed in the National Register of Historic Places. 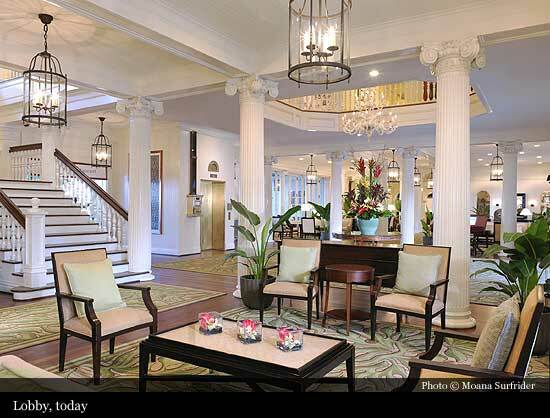 The elegant architectural features of the hotel have remained intact and an important piece of Hawai‘i’s history has been preserved. 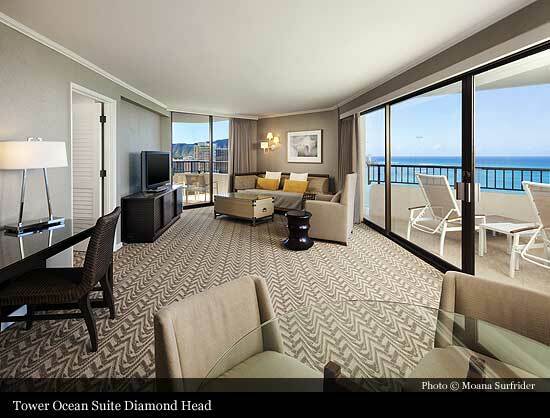 Contemporary amenities, enhanced guest facilities and Hawaiian cultural programs have breathed new life into the “First Lady of Waikiki.”.